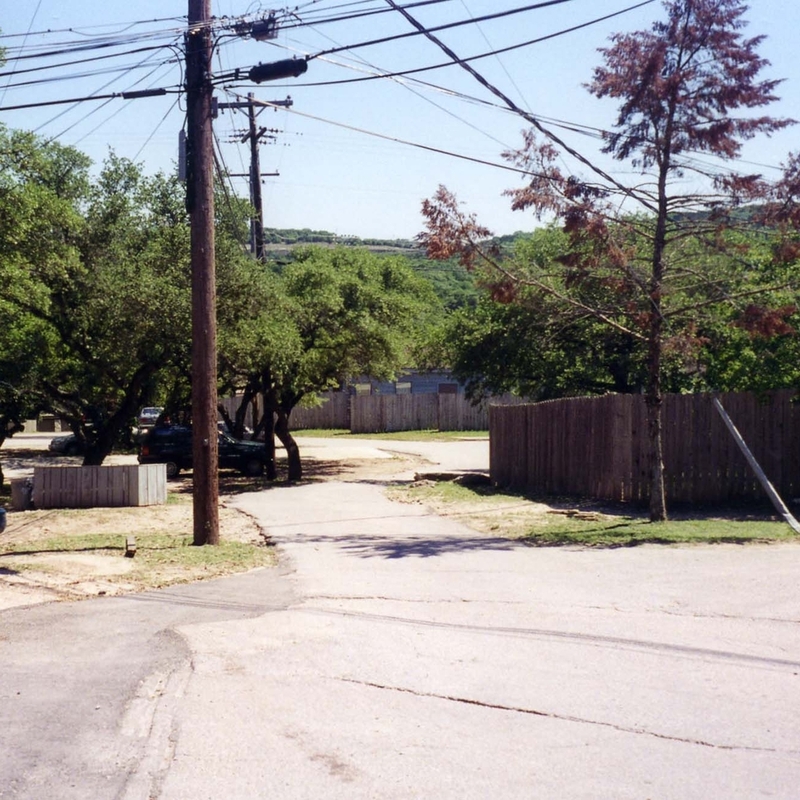 The first greenway on St. Stephen’s campus, the Moody Walk project converted an obsolete driveway and eroded hillside cluttered with utility lines into an extensive pedestrian corridor. 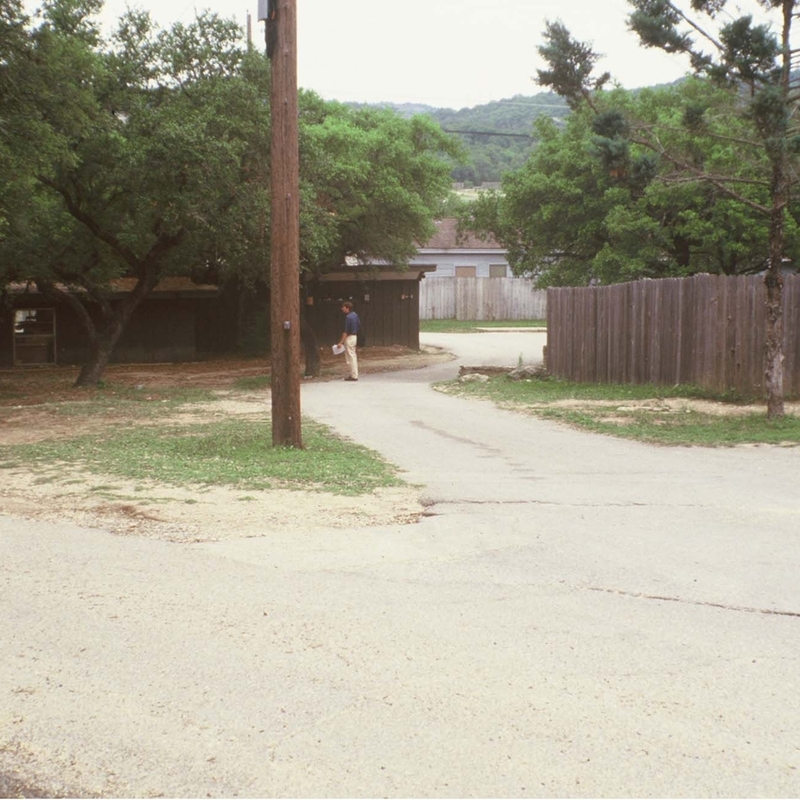 Indigenous materials reflect the Texas Hill Country environs. A wide limestone walk meanders through mature Live Oak trees, connecting different parts of campus and creating shady spots for student to to study or relax. A “dry creek” made of limestone boulders harvested on site channels runoff during rains. Native grasses, perennials & shrubs complete the environmental restoration, which was funded by a grant from the Moody Foundation. A 14-court hillside tennis center facilitates the school’s specialized tennis program. Taking advantage of the site’s hilly topography, the courts are arranged in pairs and clustered on naturally occurring terraces. Stepped walls of quarried native limestone built into the hillside provide spectator viewing in lieu of a 4-foot retaining wall. Extensive native plantings reflect the surrounding landscape. The project received a state design award. Completed in 2012, this landmark 400-seat theatre designed by Andersson Wise Architects was funded by a public private partnership. Extensive streetscape improvements on South Lamar Blvd. and walkway connections to public transport, downtown, and the adjacent waterfront park have brought pedestrian traffic into the South Lamar District. 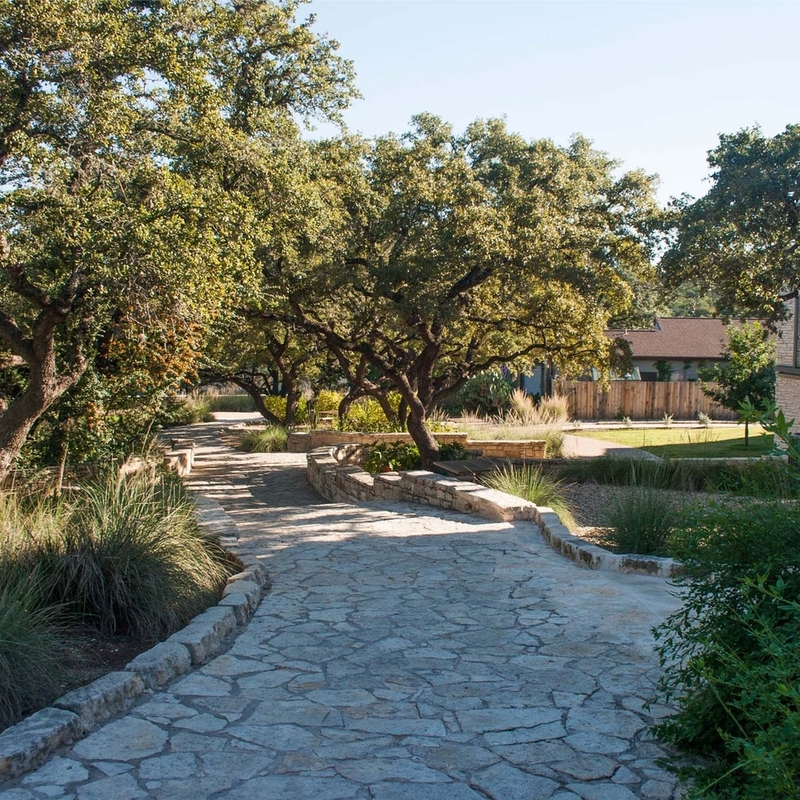 Five on-site rain gardens utilize extensive native plantings to filter water the first inch of rainfall runoff from parking lots & building, removing pollutants from the overflow into Ladybird Lake.